Well this afternoon was quite exciting for me. I hunted two different times and had great experiences. I returned to an older school yard that PulltabMiner and I had hunted several months ago. 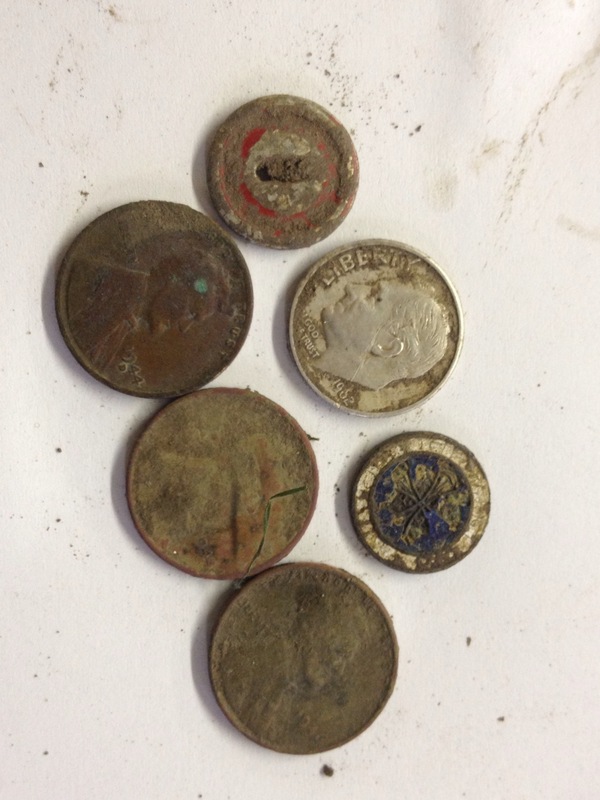 During that hunt Miner found several wheat cents. This morning I realized that the last time I hunted it was before the DD Proformance coil was installed on the Ace 250. I had the two youngest Ukena boys with me so I knew it would be a fairly short hunt. I started hitting zinc pennies quickly. The little Ace seems to love the zinc range! 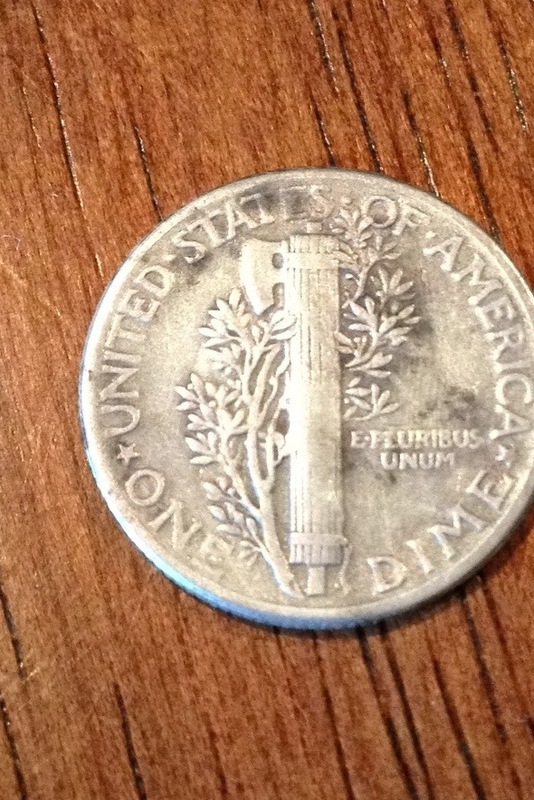 Then I hit a solid dime signal at 4-6″. I told Karson (middle Ukena boy) that this could be silver. 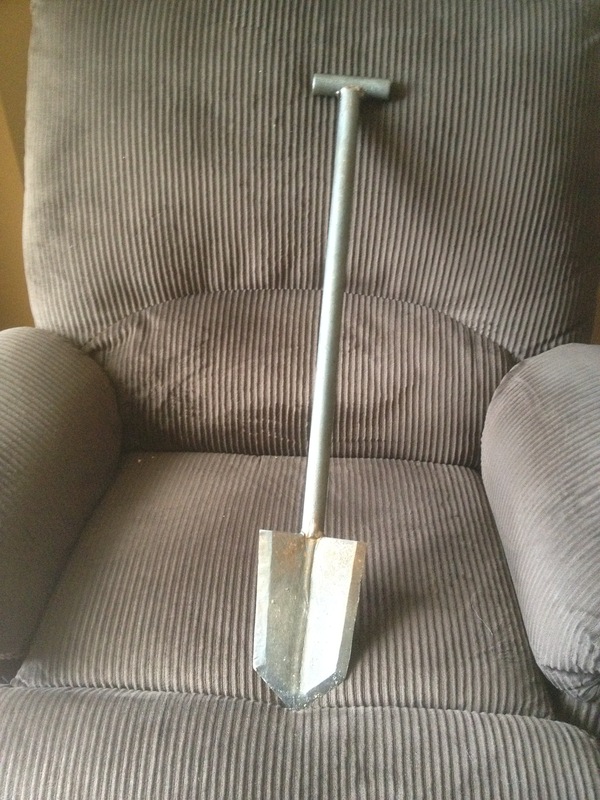 I dug a full shovels depth and he pinpointed around the bottom of the hole. Nothing… Not even a chirp out of the propointer. I then instructed him to check the plug. He moved all around it without a chirp still. I then cut the plug in half with the lesche and spotted a coin rim. 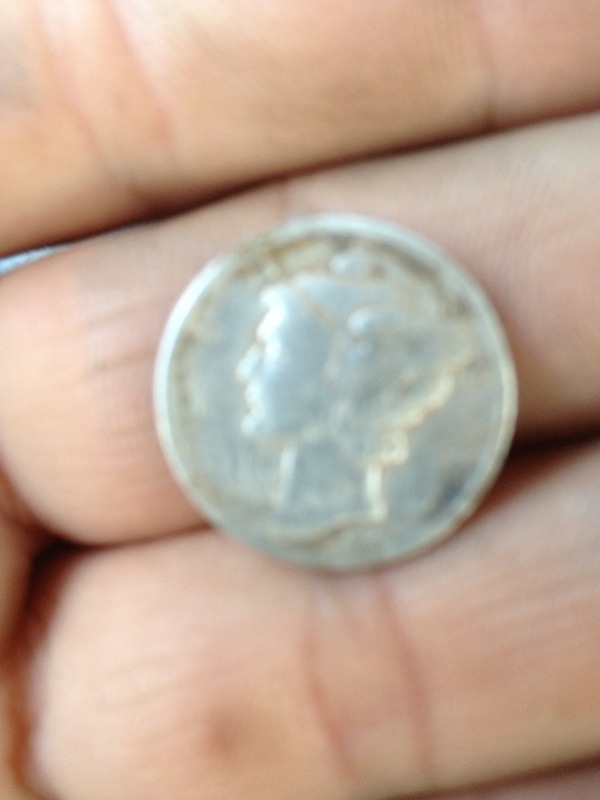 Voila out pops a silver dime. We quickly rub it enough to see that it’s a merc! High fives all around and even Bryson who is the youngest Ukena boy at 22 months started babbling about mercury and silver dimes. Wish I would have done a live dig of it just for the entertainment value! Is it too early to guide him to yell “Boom Baby” whenever we find precious metals? After dinner I decided to go door knocking. I stop by the oldest standing house in Rose Hill. Luckily the young couple are enjoying a cigarette on the front porch. They grant me permission to hunt the front yard. I start searching and I was slightly disappointed in my finds. I was only digging high tones so the yard didn’t look like gophers had invaded it. I managed $.85 in clad. Still can’t help but think there is silver on the property but not tonight! I think that after eight months together the Ace and I are finally starting to understand each other. I have been thinking about upgrading but I’m still not certain what brand/model I would like to add to my collection. I have really only one complaint with the Ace and I think I am finally starting to overcome it. Low and slow with the DD coil makes target seperation much easier! My favorite type of hunt? 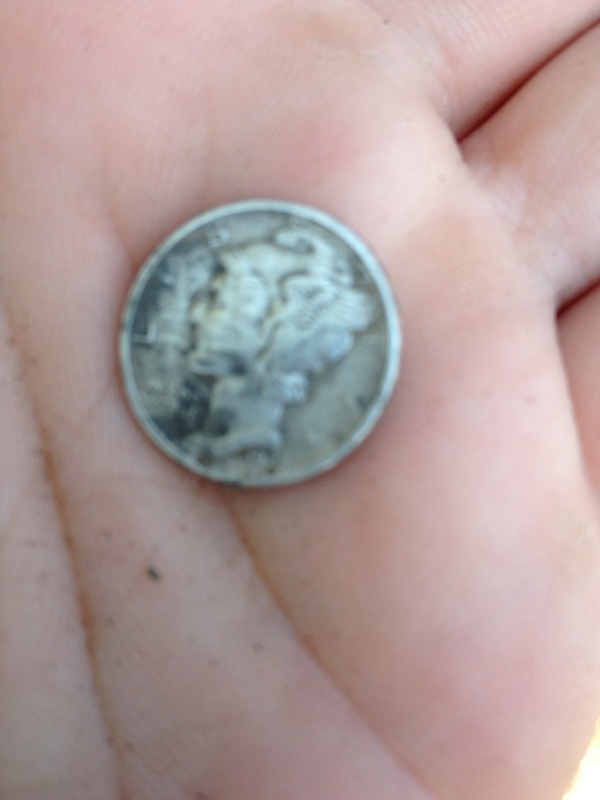 Yesterday afternoon I had a long conversation with my cousin who is in limbo about entering the hobby of metal detecting. Our conversation got me to thinking. What is my favorite type of hunt? The answers would soon show themselves. Over my lunch break I hunted at Hyde park. I was using my favorite discrimination program on the Ace 250. 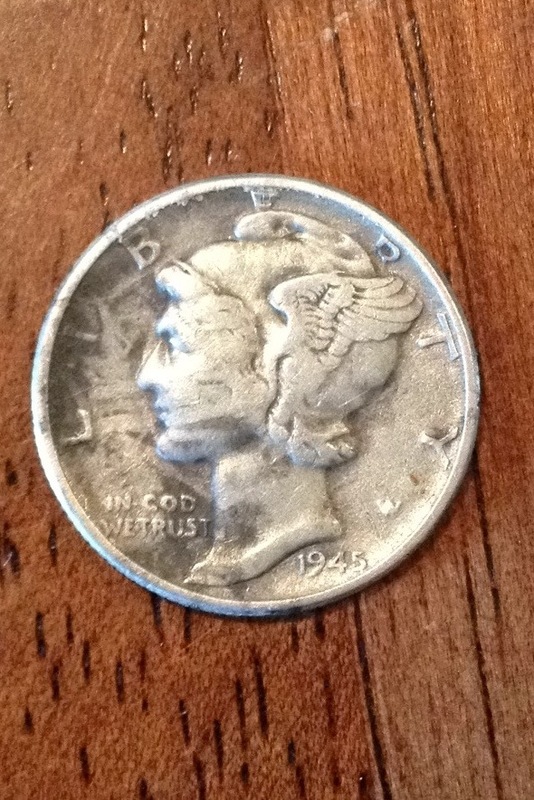 I have been notching out Iron and anything over a quarter. I dug 30-40 trash mid tones and one high tone which was a memorial penny. With this park being one of the oldest parks in Wichita it is full of iron and trash. I struggle with finding good targets and get frustrated. Tonight I hunted the sports fields close to home. These fields were built in the mid 80’s- early 90’s. I quickly realized that these are my favorite areas to hunt. The ratio of trash targets to good targets is much better than a 120 year old park. 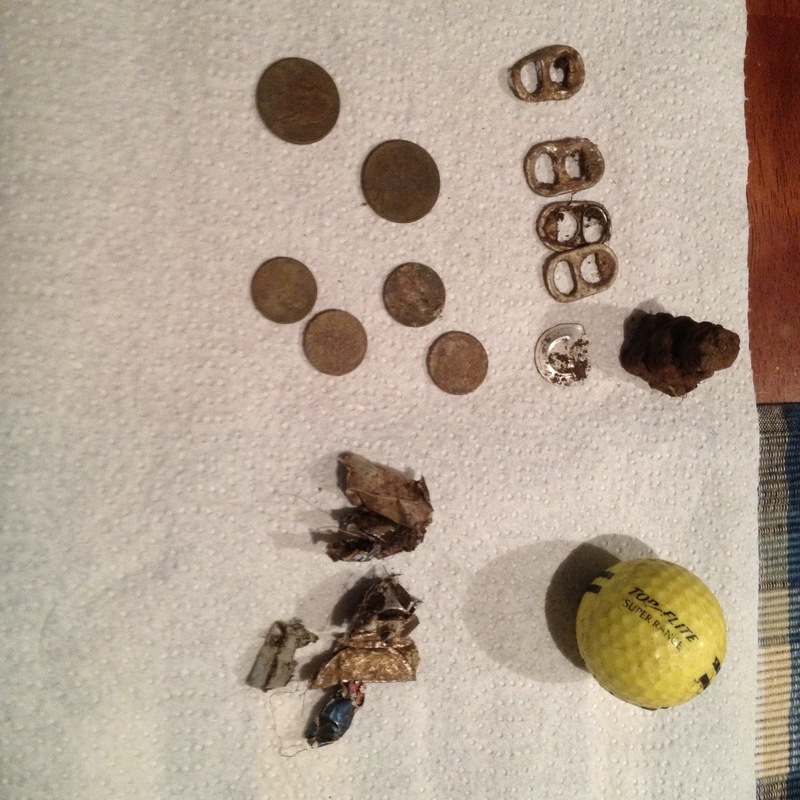 In this sports field I have found silver rings, tons of clad, and my oldest US coin. Their isn’t trash everywhere and I suspect that it holds a gold ring or two. I also think that these types of hunts are great for beginners. It’s tougher than the totlots without being totally stressful! It becomes obvious by my finds that I am on a gold kick. I can hardly pass up a solid mid tone! 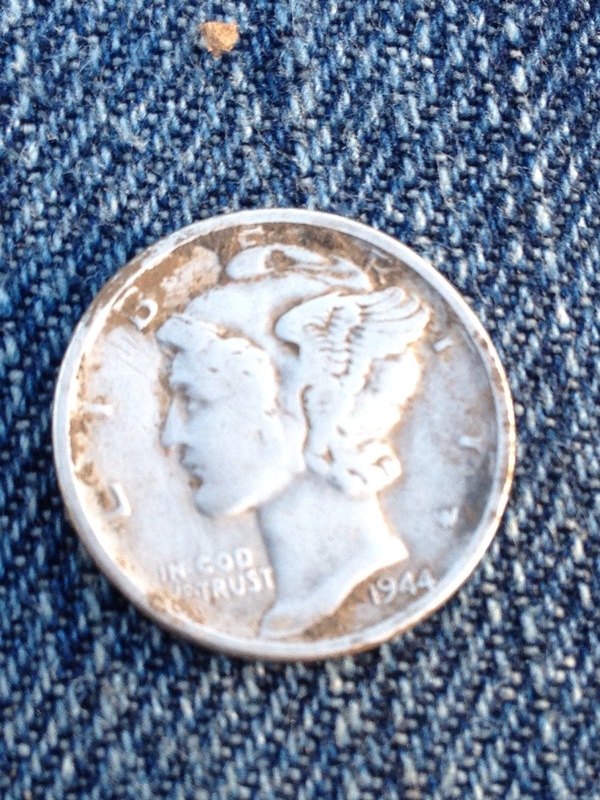 Don’t get me wrong, I dream of finding many old silver coins in one hunt. However, these hunts are a challenge to come by. Alot of research and being granted permission isn’t as easy as it sounds. 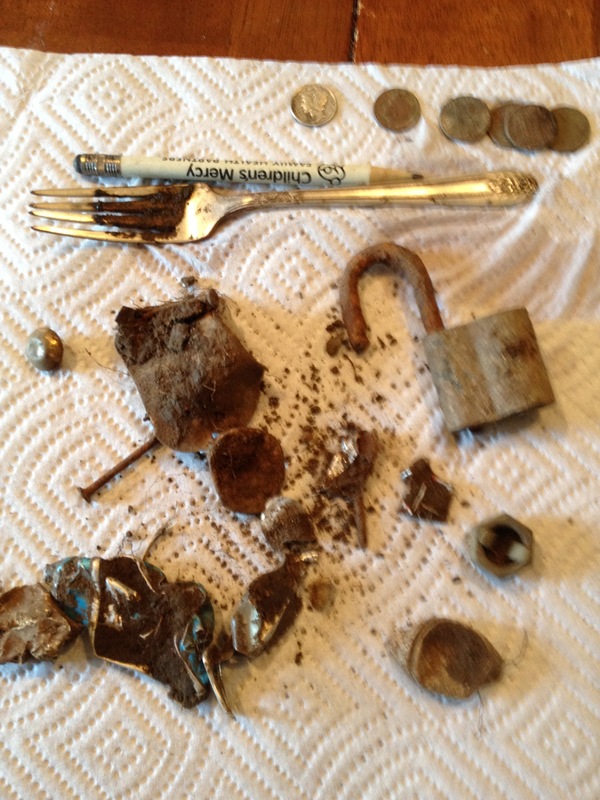 In summary I want to say that you can make metal detecting as stressful or as relaxing as you want. Two things have happened lately that have made my hunts more relaxed. They are the Garrett propointer which seems to be much better than the Whites, the Sampson clone shovel, and my Lesche digger from WW Mfg. I am thrilled to have these tools in my toolbox… Next I may add a headlamp so I can hunt later into the night! 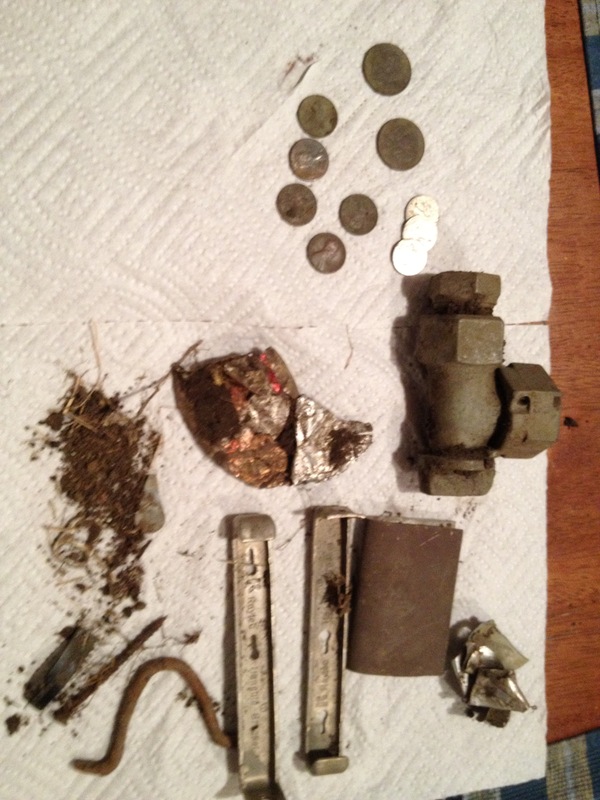 I decided to go metal detecting yesterday morning at Linwood Park in Wichita. I was there for about 5 minutes before PulltabMiner showed up. We were there about 20 minutes before Redd showed up. Redd hunts this park often with good results. You can see for yourself by searching on Youtube for Reddcent59. This put us in an interesting situation. 3 different detectors from different manufacturers and different price levels. We decided to swing the detectors over targets that Redd suspected to be good. We had some interesting results. Redd swung his Etrac over a target he suspected to be a wheat penny at 6-7 inches. Pulltab swung his V3i over the target and came up with a foil signal. I was next to swing over the target. My Ace 250 with DD coil locked on it as a penny. This proved to me that even my “entry level” detector can see targets at depths of 7 inches. The Ace gave a really solid signal. What this taught me was to trust my machine, don’t be timid to dig deep targets, and dig more iffy signals. I am not saying that the Ace can hang with higher end machines in every instance. On the higher end detectors you get more information to help you decide whether to dig or not. Overall these non scientific tests rekindled my love for the Garrett. It all boils down to knowing your machine and its sounds as well as being methodical in your hunting.